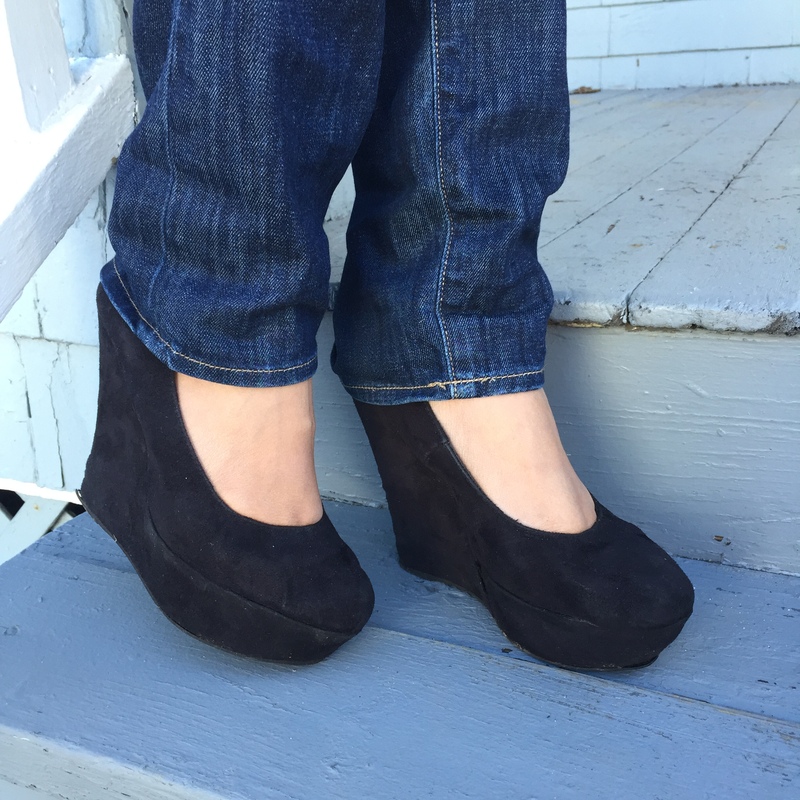 I love my black wedge platform shoes! They feel like really tall sneakers that I can run around in all day. A pair like these are versatile and can be paired with a casual look or with a dressier style for a night out. 2 Days to go! Tune in for the full outfit post on my official launch day. Thanks for stopping by and reading.